Last Sunday, 11th October, was International Day of the Girl Child, a recognition of girls’ rights and the unique challenges girls face around the world. 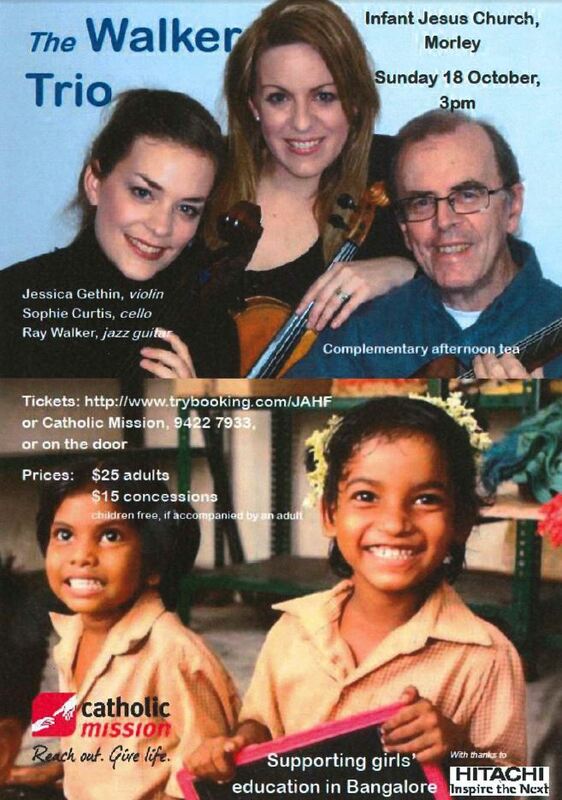 This coming Sunday, 18 October, you can help Catholic Mission in supporting girls’ education in Bangladore at a special concert by the Walker Trio at Infant Jesus Church in Morley. Tickets are available here.